Integrated support ticket subsystem lets you manage your problem reports, questions, and enhancement requests. View enhancement requests from TroopWebHost users around the world and vote for your favorites. Upload multiple photos faster than before! YPT Status on event participant list now reflects status as of the date of the event. 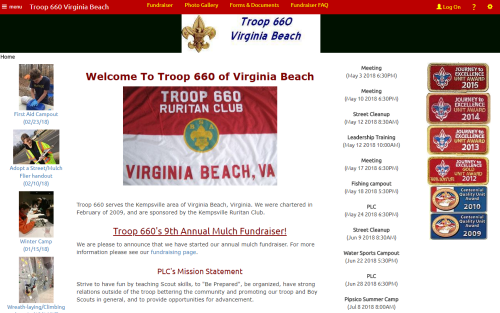 Troop 660 of Virginia Beach, Virginia! Troop 660 uses their public site to focus attention on their annual fundraiser. 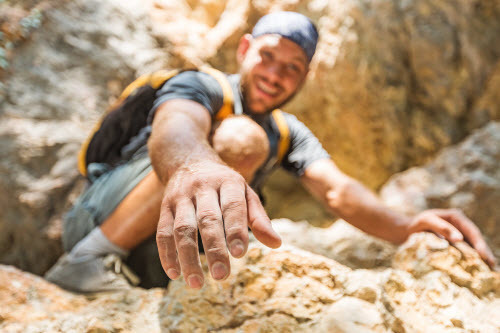 Starting with the home page and extending to two custom pages which answer frequent questions and solicit orders, their public site is all about raising money for the troop. In an interesting twist, another custom page contains a copy of a prior TroopWebHost newsletter that describes the current user interface. Troop 660 was one of our first customers, joining the TroopWebHost family in early 2010, which is why they have one of the most extensive photo galleries we've seen. If you do, please include your troop number and city in your message so we can identify your site.